Here I am wearing my favorite shirt in the world! This gorgeous blouse just seems to go with everything. Jeans, trousers, pencil skirt, jackets.... dress it up, dress it down..it does it all! Best of all it's a great, large pattern, but it doesn't overwhelm my petite frame! 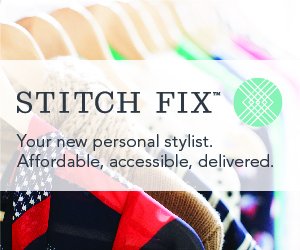 Thanks so much to the wonderful creative team at Stitch Fix for sending it in one of my packages! Here I've paired it with my favorite pair of trousers from Target, sparkly loafers from Mia, a bold pair of earrings made by a women's cooperative in Mali, West Africa and a pop of color with this beaded necklace I've had for so long I don't remember where it's from. Wear it to the office, or pop on a jean jacket and you are ready for a movie!